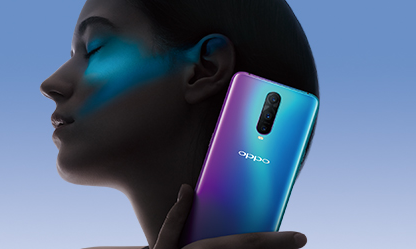 OPPO has launched ‘Seize the Night’ campaign in 12 markets in a bid to celebrate its new R series flagship product, R17. The 12 markets the campaign runs across include Singapore, Malaysia, India, Philippines, Thailand, Taiwan and Vietnam in Asia, while France, Netherlands, Russia and Spain in Europe. According to Alen Wu, vice president of OPPO international business, the overall aim of the campaign is to showcase and celebrate the artistic flair of OPPO users around the world, while inspiring others to appreciate the “excitement and beauty” that nighttime brings. The campaign runs until 15 December and aims to invite OPPO fans across the 12 markets to share their night lives with the world, through the lends of OPPO R17 Pro. With the hashtags #SeizeTheNight, #ThatsMyNight and tagging @OPPO on social media platforms such as Facebook, Instagram and Twitter, fans will be eligible to be showcased on OPPO’s social media channels and score a trip to Hong Kong. According to the release, the campaign is designed to “embrace the youth urbanite culture”, which is to entertain and engage OPPOs fans as well as entice User Generated Content (UGC). OPPO has also with KOLs to produce the images of fans’ nightlives, while through OPPO R17 Pro Ultra Night Mode. Wu said that R17 Pro’s new ‘Ultra Night Mode’ feature is “testament” to the brand’s commitment to deliver “superb experience to all those young at heart”. “Through years of producing the most loved camera phones around the world, we discovered that there are many talented would-be photographers capturing life’s every-day moments. Within this outpouring of creativity, we want to know how consumers capture night-time photography in particular,” Wu added. OPPO has previously worked with brands such as Victoria Secret, Automobile Lamborghini, and sports partners Football Club Barcelona, International Cricket Council, among others. Scoot and Skyscanner strike again. Meanwhile. PolicyPal throws its social media skills in the ring. .. The Walt Disney Company Southeast Asia has appointed Chris Marsh as general manager, Studio Entertainment looking after movie dist..